Just because you have content doesn't mean you're a content marketer. Sure, it's great that you have a new video to share and hot off the press eBook. In fact, if you have these two things you are well on your way to fueling a strong content strategy. But simply having these elements doesn't mean you're actually doing content marketing. The ultimate goal is to have a content plan that drives action from your prospects and customers. 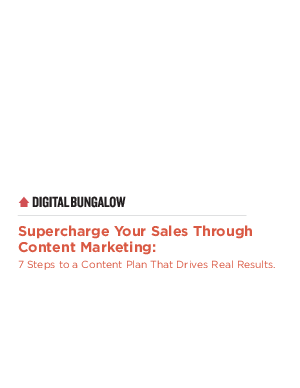 Our question for you: Is your content strategy driving qualified leads for sales?